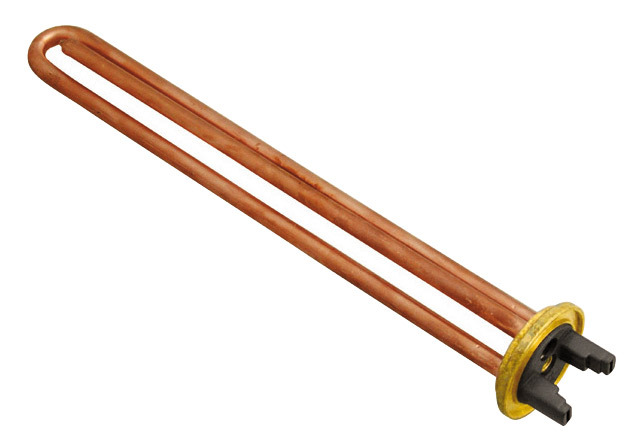 Electric resistances made of pure copper to reduce the effects of corrosion and increase duration over time. The correct choice of the specific power when designing and making tubular electric resistances is a necessary condition for making this device operate correctly when in contact with water and powered by the power supply voltage. The maximum surface load of our electric resistances is 9 watts/cm2, a value that makes it possible to distribute the heat to the liquid to be heated in an optimal manner. This means that there are no heat concentrations that generate gas bubbles on the surface, to the full advantage of a decrease in noise. The problem is not only noise, however, but also the dissociation of the dissolved minerals, therefore the creation of limestone deposits inside the devices. This dissociation also favours the phenomena of corrosion in electric resistances. To overcome these problems, our products can be equipped with sacrificial anodes that extend resistance life over time. Another thing that makes the difference in our electric resistances is the use of extremely pure copper to make the tube that houses the resistance. 23/11/2017 Pure copper electric resistances Top quality Italian pure copper and brass are used to produce our electric resistances.